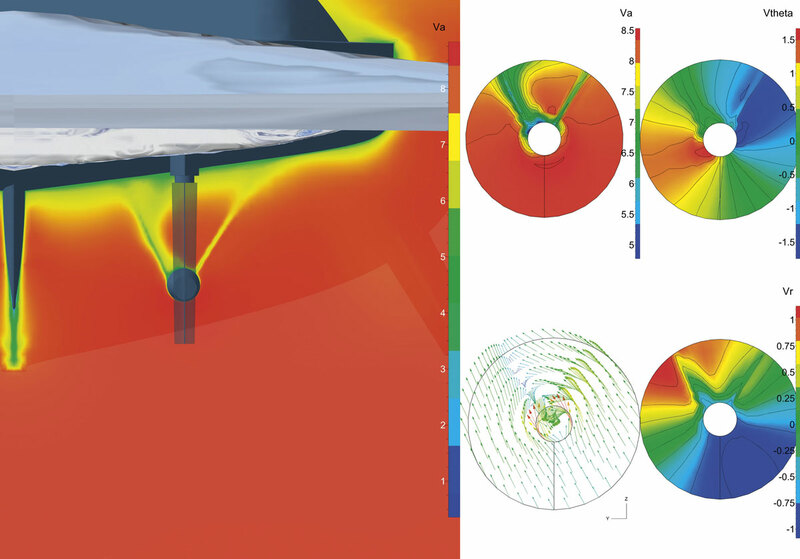 With help of maritime CFD technology we are able to analyze, in full scale, the behavior of flow and waves around the ship. All details regarding distribution of pressure, resistance and flow velocities generate clear insights. This way we receive the crucial input to get a perfect match of the ship and his propeller. In this step we concentrate on the wake field, in which the propeller will fulfill its purpose. The local velocity components are represented in ample detail. 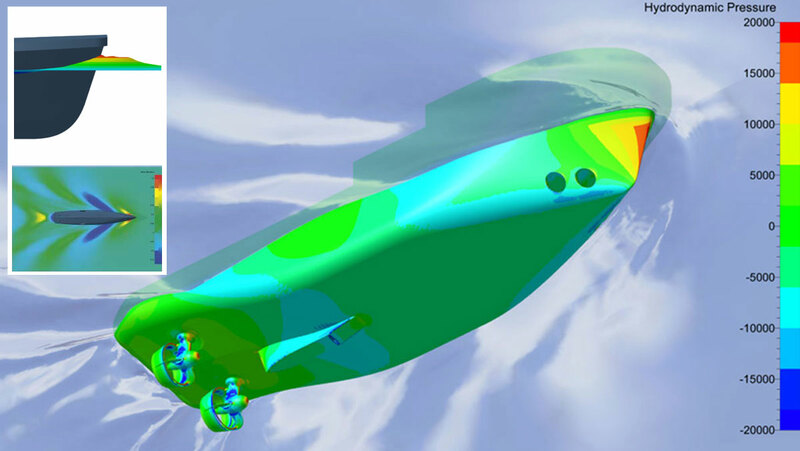 Once again, this yields very important input for an optimal propeller design. 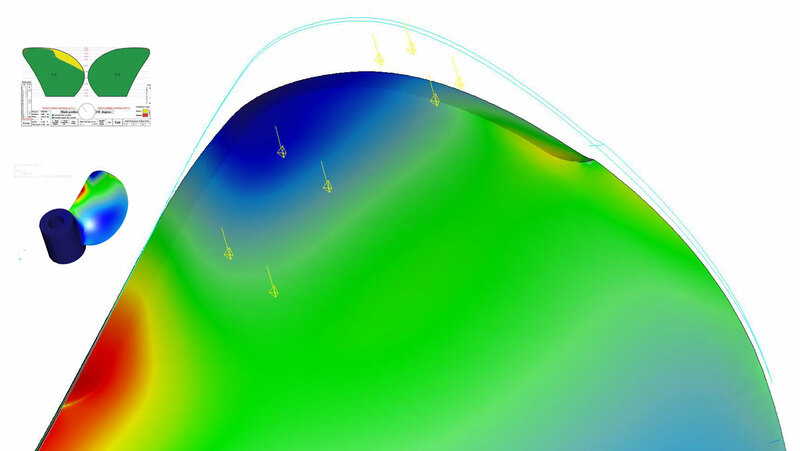 Nominal and effective wake field. Based upon the previous steps, and with our comprehensive knowledge base (embedded in our proprietary software), the prime propeller design is made. We ensure the basic requirements for thrust, efficiency, strength and hub dimensions are met. Then, the design is tested in the wake field. At every rotational position, pressure fluctuations resulting from velocity filed variation is computed on both sides of the blades are computed and analysed. Subsequently, various parameters are being varied in such a way that pressure fluctuations on hull and shaft and cavitation is minimized – in almost all cases we achieve cavitation-free designs -, while maintaining optimal performance for thrust and energy consumption. Minimum of pressure pulses, maximum achievement. Utilising the 2D input, the propeller design is ready tob e tested in virtual reality. There we can fine tune propeller-hull interaction up to perfection. Along with thrust and efficiency, in this step the levels of vibration and noise are subject for optimization. The lower pressure fluctuations, the better the on-board comfort level. In addition, we can consult in the re-design of struts, bossings, rudders, et cetera. In the past years we proved to gain reduction in sound levels of 10 dB and better. Essential information for noise and vibration control. CNC robotised production techniques are able to deliver propellers with unprecedented accuracy to as-designed geometry, and excellent performance. Sip Marine offers various finishing classes for any design: Class 2, Class 1, Class 1+, and Class S.
Customers may choose to only balance statically, but we strongly recommend dynamic balancing. 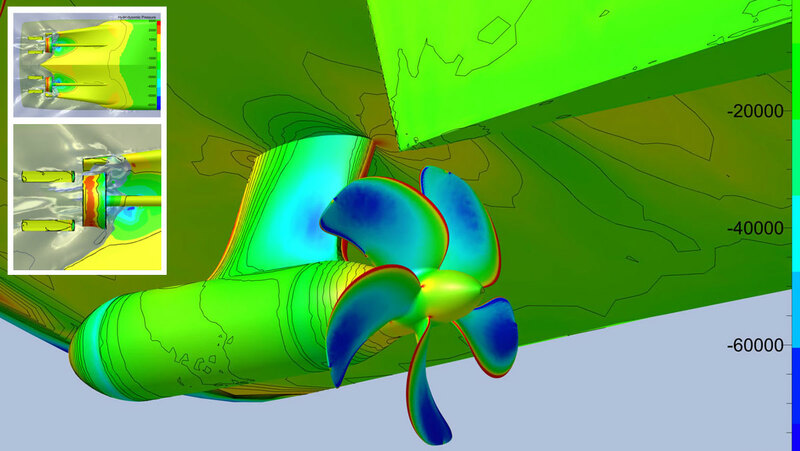 A well-balanced propeller strongly reduces the risk for shaft-frequency vibrations, and will prevent unwanted re-docking of the ship.